At Echo Tree we are proud to offer a 'custom made to order' service. 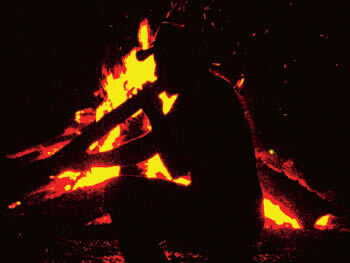 Please call us if you want to buy a didgeridoo that has specifications outside the scope of these basic options, as we are more than happy to cater to your individual needs. 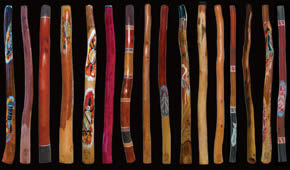 We can personally make you a didgeridoo that is keyed musically to your individual specifications. We tailor-make instruments on a completely individual basis and offer a huge range of options to choose from. We have listed some below. Our service caters for all twelve increments in the octave range, (notes and sharps). We also have provision for finer tuning, although it should be mentioned that the frequency of the standing wave harmonics that produce the key or note of the instrument will vary slightly according to the fluctuations in temperature, humidity and air pressure conditions. This will affect the weight of the instrument as well as its sound; contact us for more in-depth information on how the instrument's sound is affected by the variance in wall thickness.